Screen sensation William Baldwin and Uncork’d Entertainment count down the Minutes to Midnight this July. 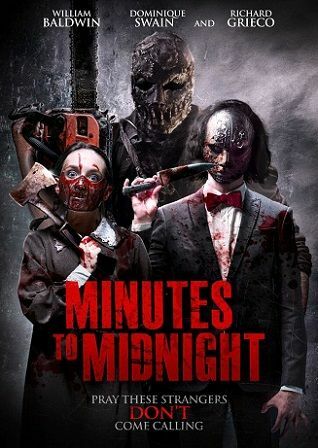 In the tradition of The Strangers, and featuring the hottest ensemble of the year, Minutes to Midnight on VOD July 3. What happens when a night of fun turns into a night of horror? Seven friends and a mysterious backpacker converge at a desolate ski lodge in the mountains and as the clock begins the countdown to the New Year, they discover that the end of the old year may be the end of all their years as they are systematically hunted down by ruthless masked men with a deadly agenda. The film is scripted by Victoria Dadi and Christopher M. Don. Award-winning actor William Baldwin (Backdraft, Flatliners, Sliver), Richard Grieco (“21 Jump Street”), Bill Moseley (The Devil’s Rejects), John Hennigan (Never Leave Alive), Dominique Swain (Astro), Viva Bianca (“Spartacus : War of the Damned”), Jared Cohn (Pernicious) and Christopher Judge (“Stargate SG-1”) star in a Christopher Ray (Circus Kane) film. Minutes to Midnight is on VOD July 3 and DVD September 4. Comments: A couple start out out in the woods with sinister music playing and a sound off in the woods you know something bad is going to happen. It does. Than the present day. A group of college students head out into the countryside. The girls are all extremely beautiful. The guys look good as well. They have a house to stay in. The insanity starts right away. The killing keeps on going and there is no reason behind it except to kill. The killers are pure evil. The suspense does build up. The actors do have some talent. The movie though needs to flow more smoothly. There is T&A so this is a mature movie. Plus of course all the violence. 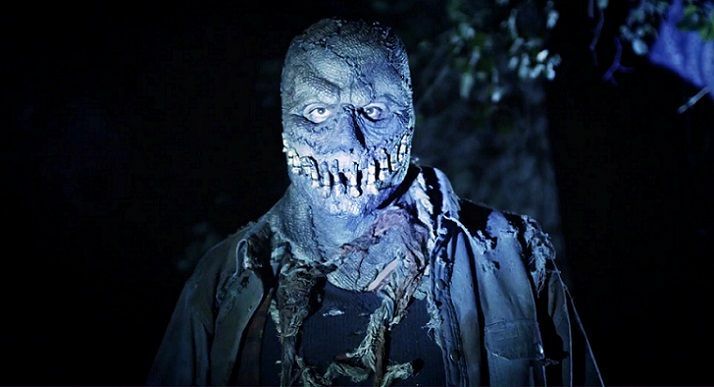 The look of the evil killers is low budget yet actually done really well. 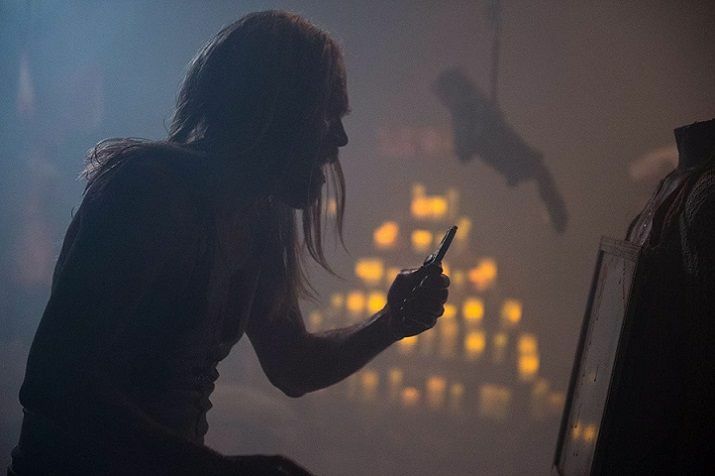 There is a big fight scene with Travis going all out against the three freaks. The actor was a pro-wrestler and you can see it in his fighting style. The movie overall is just about these crazy people going on a killing spree. The movie needed to get more into the characters so you cared more about them. Plus the killers we learn next to nothing about them. 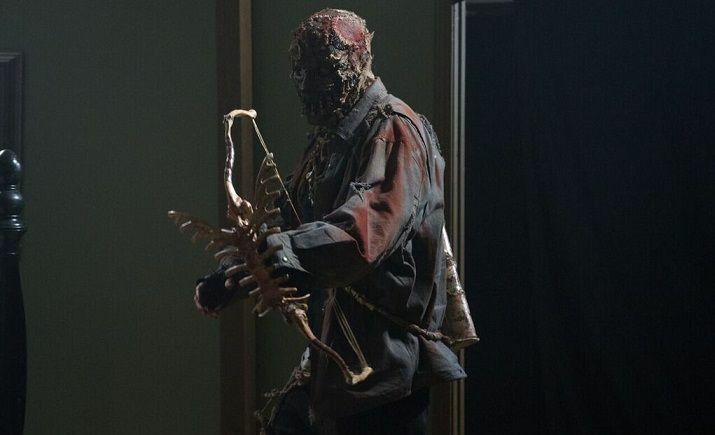 The main killer does have a scary mask and the way he acts and moves accentuates that. He would frighten the innocents and not so innocent.